Sierra Nevada awarded contract to deliver 12 A-29 aircraft to Nigerian Air Force. 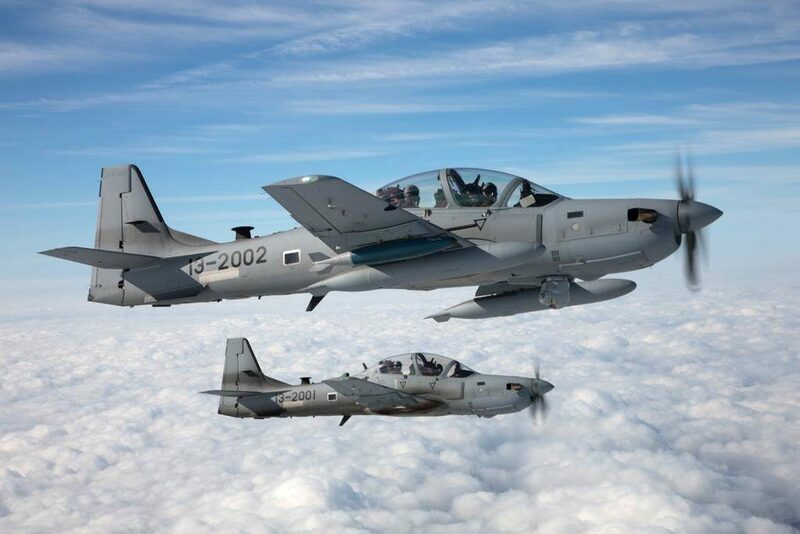 On February 06, 2019, Sierra Nevada Corporation (SNC) and its partner, Embraer Defense & Security, were awarded a contract to deliver 12 A-29 Super Tucano light attack aircraft to the Nigerian Air Force. The company highlights that the A-29 boasts an operational record as it is conducting combat missions on a daily basis in theaters around the world and has exceeded 46,000 combat hours and over 360,000 total flight hours. Moreover, SNC says that the aircraft features a robust landing gear to take off and land even in the most austere field conditions and that is highly effective in the CAS role thanks to the exceptional reliability and accuracy in the delivery of weapons. The aircraft will be produced in Jacksonville, Florida and modified in Centennial, Colorado. The aircraft are expected to be delivered to Nigeria in line with the contract timelines, as part of a larger more comprehensive training and support package. Nigeria is the fourteenth nation to have selected A-29.